Tuesdays: Supper - 5:30 p.m.; Meeting - 6:00 p.m. - 7:30 p.m.
Can you recite the history of the American flag, define the Impressionist period, identify five birds local to your region, list the books of the Bible and respond properly when a person is choking? If not, just ask a sunbeam. And they could probably tell you a lot more. The Sunbeam program emphasizes the importance of growing spiritually, mentally, physically and socially through fun activities, field trips, camps, service projects, earning activity emblems and so much more! It gives girls a refuge, a place to be themselves, have fun, deepen their relationship with God, gain self-confidence and discover how they can make a difference in the world. Inaugurated in 1921 as an offshoot of the life saving guards, the Sunbeams offered a character building ministry for younger girls interested in expanding their knowledge through emblem earning and Christian fellowship. More specifically, the program encourages "the building up of sterling character in girls and young women, promoting their physical, mental, moral and spiritual development, and training them for service to others." Today, Sunbeam members are between the ages of 6-11; the only criteria for joining is regular meeting attendance and parental consent. The goals of the Sunbeams are outlined in the Sunbeam Pledge, Declaration and Motto shown below--but for this group actions speak louder than words. 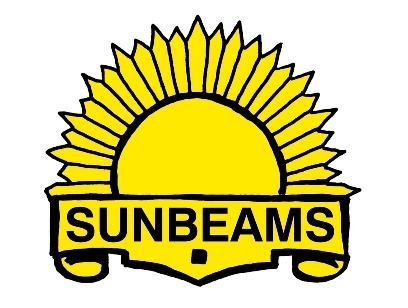 In Sunbeams, heavy emphasis is placed on actively working with the Sunbeam leader and fellow-Sunbeams in order to earn emblems in a plethora of areas. and be true to the Sunbeam Declaration." "I understand that as a Sunbeam I should: pray morning and evening, speak the truth, be kind to animals, never steal, swear, gamble, touch harmful drugs or strong drinks." For more information, please contact Joanna Weaver at 869-252-7706 x 147 or joanna.weaver@use.salvationarmy.org.